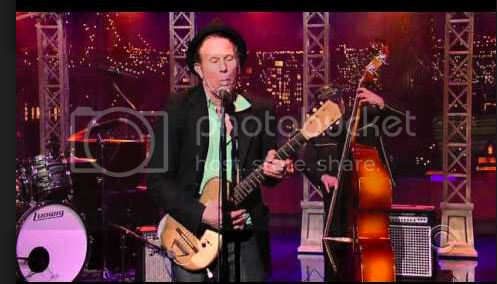 ShortScale :: View topic - Stratotone:Birth Year guitar? Posted: Tue Apr 04, 2017 5:03 pm Post subject: Stratotone:Birth Year guitar? 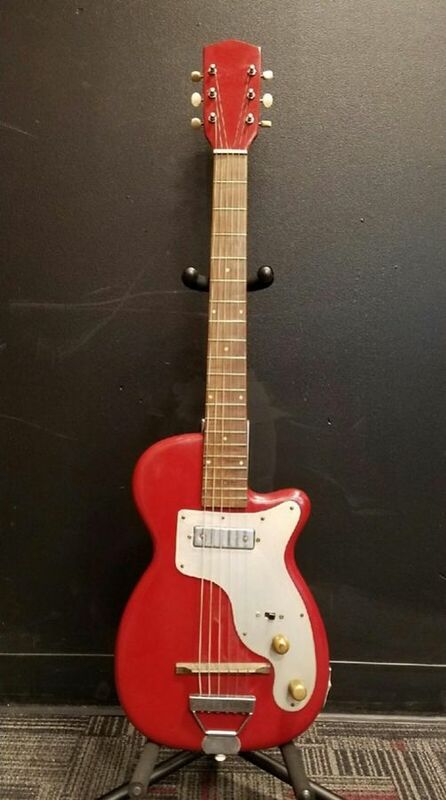 Everyone wants a "Birth Year" guitar but any electric guitar from my birth year is going to be expensive.The only way to get something cool that is still affordable is it find one that has been refinished or modified. That said,I just ordered this guitar from Guitar Center because It gotta be close to my birth year and I can return it if I don't like it. Also,it should sound cool through my new amp. Hope it works out! One that might not get sold if it does? I think one of the reasons I put off getting a strat for so long was that I'd always secretly wanted an '87 Japanese Squier strat. Actually the color of this H44 is kinda cool. 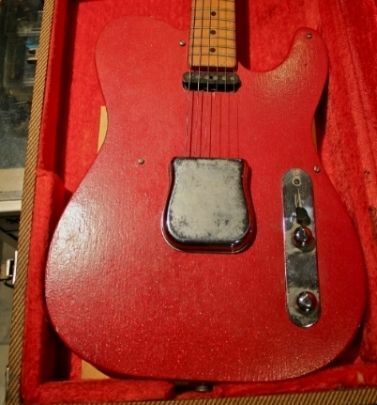 I think it is "Studebaker Red" like the '49 (testbed) Telecaster(below). 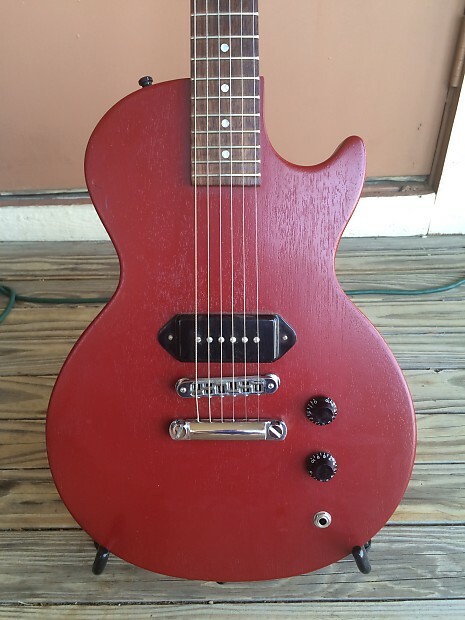 2003 Melody Maker,nice! 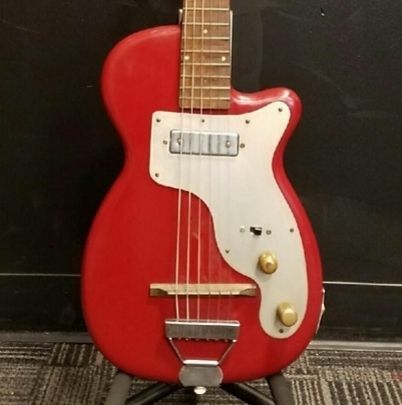 Here is the story about the "Studebaker Red" Tele. It's funny,I have been looking at these guitars online for years but never noticed all the differences between the 3 models(pickups,fretboards,bridges and electronics). 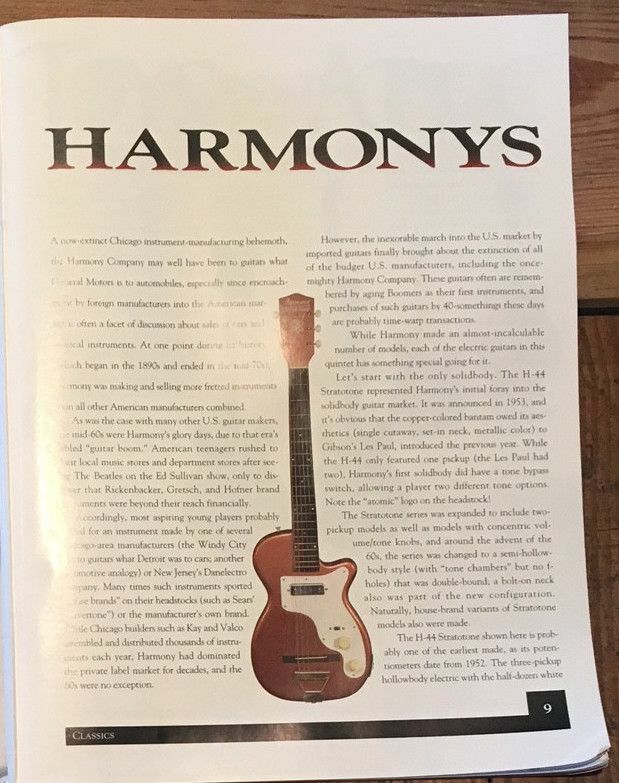 Yeah,apparently the H44 made it's first appearance in their 1953 catalog(above). 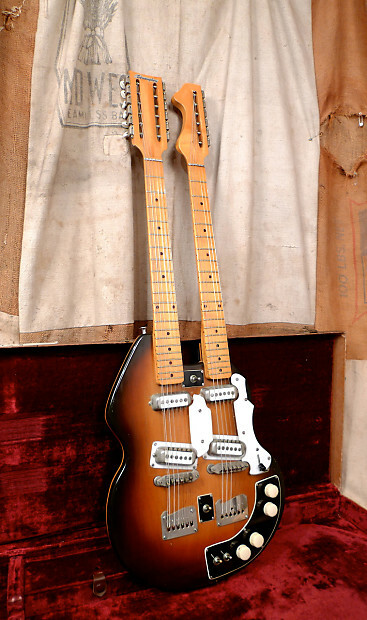 That is what makes this the perfect "birth year" guitar for me. 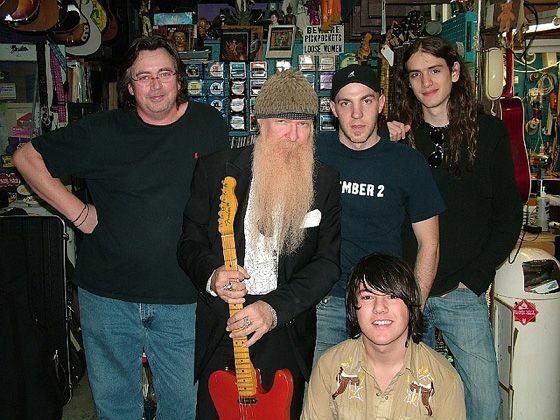 I made some other threads about Stratotones years back. I think most people had forgotten about these until this happened. Nice! 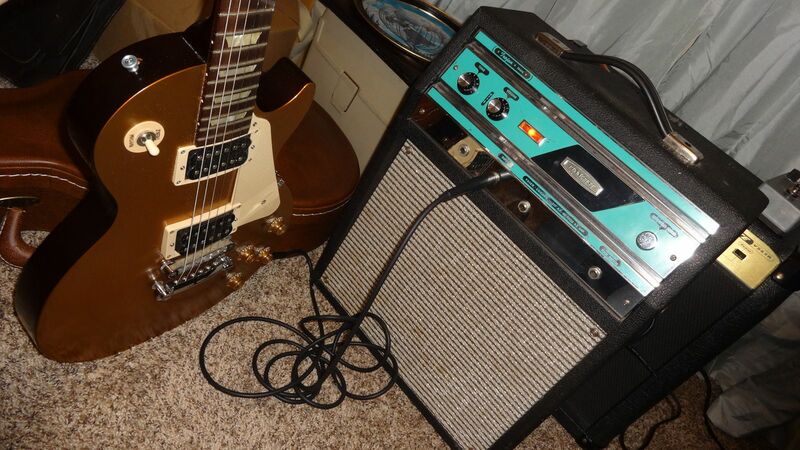 There is one on Reverb for $15,000 It's a '57 so too late for my "Birth Year" guitar,lol. 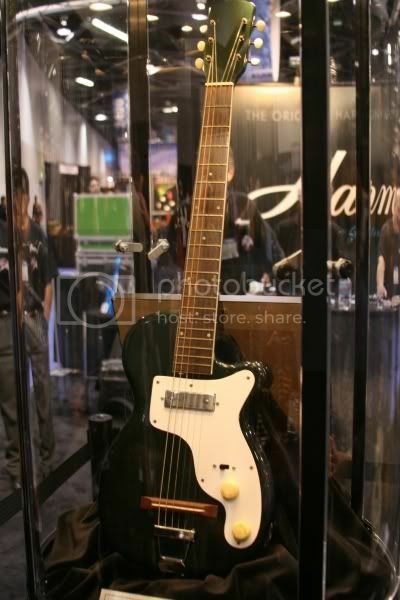 Did you know that the 1st solidbody Carvin guitars were Harmony Stratotones customized with an extra pickup? I used to like checking the website of Carvin. Wanted to purchase their Nomad amp as it got good reviews, was cheap and could be switched from 110 Volts to 230 Volts. Didn't know how they started. They have a different business model: they priced everything cheaper than anyone else, but sold everything everything by mail order, so there are no Carvin dealers. There are a few physical shops in LA and other places in California, and they only stock Carvin gear, including PAs, amps, and they used to offer custom specifications on their guitars (you could specify the neck specs, pickups, finish and so on). I don't know if they are that successful now with the internet, but they did quite well in the 80s and 90s. 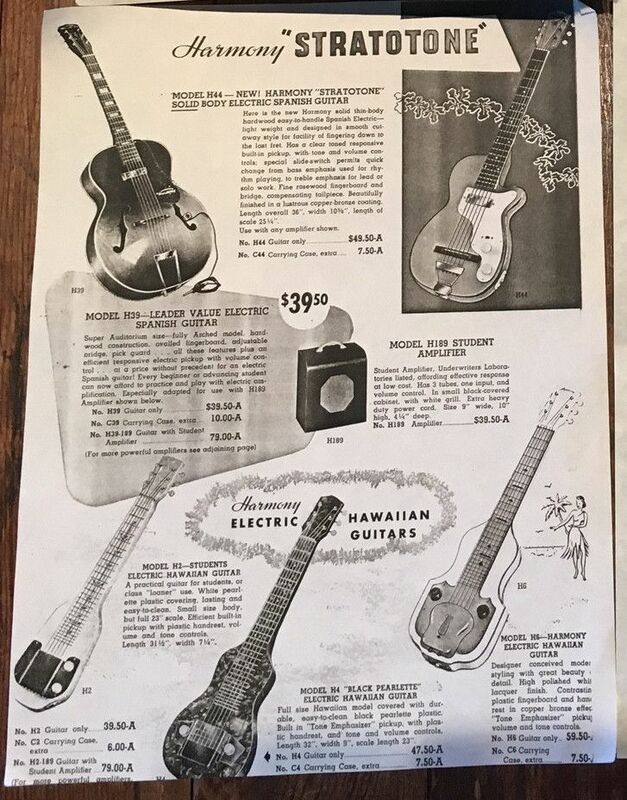 That Carvin pickup in the ad is also on the earliest Mosrites. Carvin and Franz(found on alot of Guild guitars) were some of the first companies to offer after market pickups.